Tuana Unisex Hammam Bathrobes have a beautiful texture and simply elegant design. 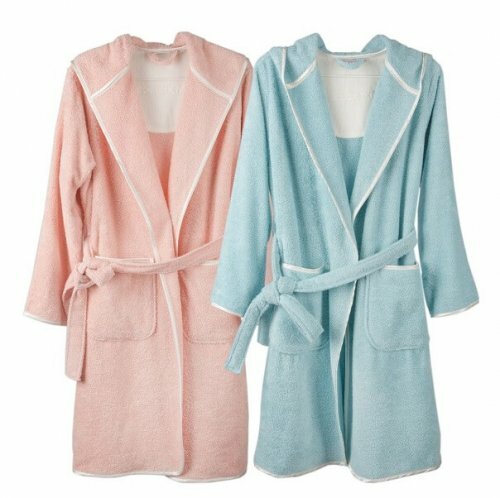 Tuana bathrobes have matching hand & bath sheets and bath mats. 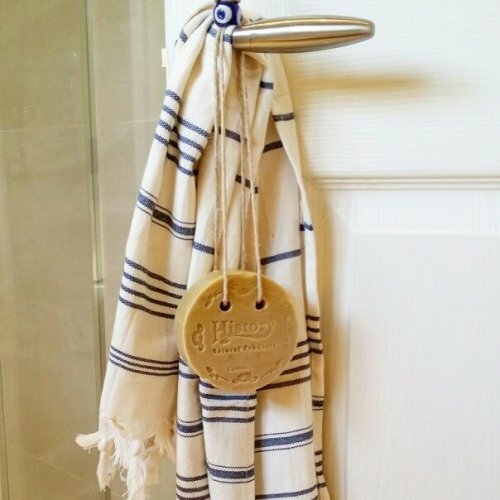 You can completely redo your bathroom from top to bottom with Tuanas if you wish to make a set. 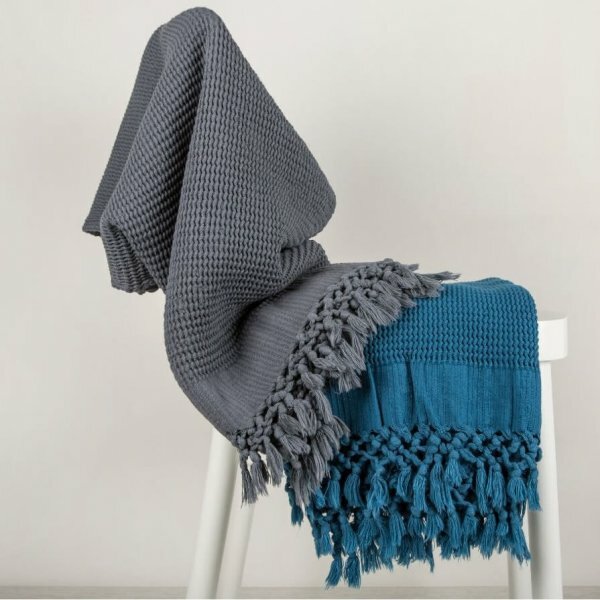 The hand towel and the mat have specially designed pompoms which make them adorable and very eclectic. 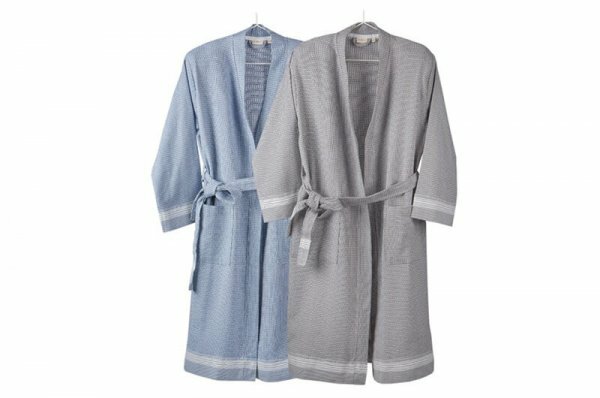 Made of 100% cotton yarns, these hammam bathrobes are absolutely remarkable with their sleek design. Tuana has sophisticated finishes around the hems and pockets which give it a very luxurious look. Tuana Cotton Unisex bathrobe is a perfect delight to wear for a cosy lounging before or after bedtime. They are also fantastically absorbent and fast-drying bathrobes. With wear and wash, it will be much softer and more absorbent each time. They are perfectly machine-washable and they don’t shrink. They are hanging below the knee in length for a good cover and the sizes are quite generous. 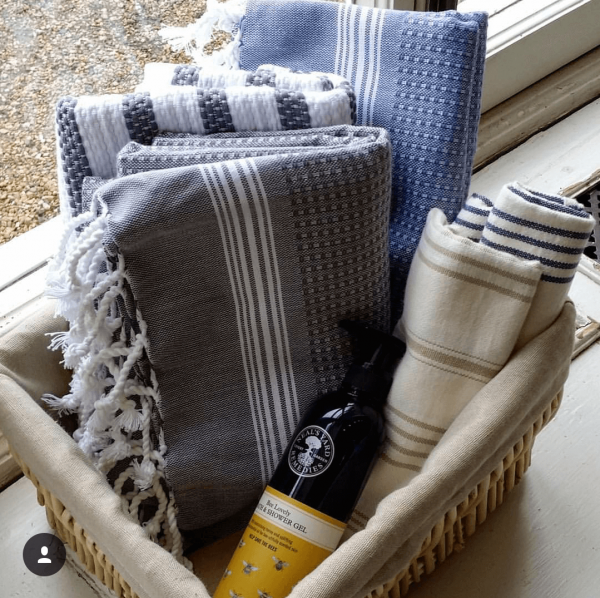 The Tuana bathrobes are 100% cotton and come in lulling Blue and Grey colours to be complemented optionally by a matching bath sheet, hand towel and a mat. The whole set is an absolute indulgence! 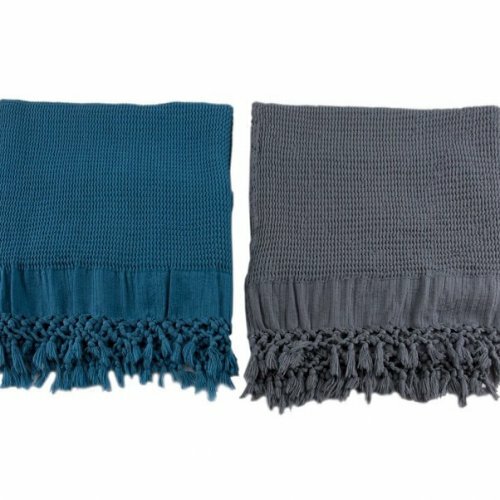 To see the matching hammam bath sheet, please click on Tuana Peshtemal Towels (100 x 180 cm); for hammam hand towels, click on Tuana Peshtemal Hand Towels (50 x 90 cm) and for the mat, click on Tuana Mat (60 x 90 cm). Please read the size guidelines for more accuracy.